Apple Inc has lost a trademark lawsuit in China, with a court in Beijing allowing a leather goods-maker to sell wallets and handbags flashing the world's biggest technology giant's exclusive 'iPhone' name. The Beijing Municipal High People's Court ruled in favour of Xintong Tiandi Technology (Beijing) limited, which sells a number of leather products such as smartphone cases and handbags under the name 'IPHONE', state media reported. In 2002, Apple applied for the 'iPhone' trademark for its electronic goods in China, but it was not actually granted until 2013. Xintong Tiandi filed for its own 'IPHONE' trademark in China in 2007, the same year the first generation of Apple's iPhone was launched in the US. In order to obtain the exclusivity on the use of the 'iPhone' trademark in China, Apple first took the case to the Chinese trademark authority in 2012, but it failed as the agency claimed Apple could not prove the name 'iPhone' was a well-known brand prior to Xintong Tiandi's registration in 2007. Apple then filed a lawsuit in a Beijing court. The court, however, ruled against it and Apple appealed to the Beijing Municipal High People's Court. The court said the company did not sell the iPhone in China until 2009. The final judgement means Xintong Tiandi could continue to use the trademark to sell its products, state-run China Daily reported on Thursday. Apple did not comment on the ruling. The ruling comes as Apple's latest quarterly earnings showed a 13 per cent drop in revenue as sales of iPhones. China was a particular weak spot as the sales in China fell 26 per cent to $12.49 billion because of weak demand for iPhones. Xintong Tiandi confirmed the court ruling on its website and said the decision represented a victory for free consumer markets. James Yan, a Beijing-based analyst at Counterpoint Technology Market Research said, "The failure of the trademark fight would not have a great impact on Apple's brand and image but it might confuse consumers as they do not know whether these products are made by Apple or some producers copy Apple's name when they are buying leather products embossed with the 'IPHONE' brand". 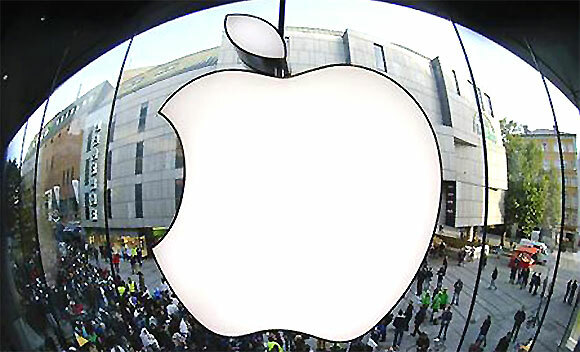 Zhu Dalin, an analyst at Beijing-based Internet consultancy Analyses International said the influence of Xintong Tiandi is very minor which would not pose a threat to Apple anyways as Apple mainly focuses on electronic devices such as smartphones and iPads.